To say that Power BI has been a game-changer for HR consulting firm APTMetrics may be an understatement, according to CFO Marty Kelly. Kelly credits Power BI with not only improving his company’s performance, but with making his job and those of his co-workers an order of magnitude easier and more efficient. APTMetrics’ primary business is assessment-centered talent management solutions. Kelly says Power BI has yielded benefits across all areas of the business, including finance, marketing, sales, and operations, allowing for the consolidation of information across multiple disciplines. The scope of Power BI’s potential uses is limitless, he said. Kelly took advantage of MaxQ’s Power BI expertise to implement a solution that matched his business needs and made it easy for his team to access data from multiple sources, view and manipulate the data, generate reports, and perform an unlimited range of analyses. Although Power BI was deployed initially for managing accounting in the financial department, Kelly said the solution’s flexibility has provided a host of unexpected benefits. For instance, Kelly said he now can take snapshots of the consulting business via Power BI and know much earlier in the month how well the company is doing. By monitoring and managing the project allocation of the company’s 40 consultants, he can make adjustments that improve business outcomes, something he could not do in the past. Using Power BI, Kelly said, he can view up-to-the-minute information as the consultants input their time and project data into the shared system. “If I know a week-and-a-half into a four-week month that I am falling short,” he explained, “I can call the consulting officer and get people more billable hours. Power BI also has enabled Kelly to manage the company’s financials in new and more effective ways. “I use Power BI for in-depth financial analysis, database management and querying, and to create graphical presentations in support of the company’s business model,” he explained. Power BI is extremely fast and flexible, said Kelly, enabling him to access and analyze data and respond to business issues faster than in the past. It also enables him to delve into financial data to pull up sophisticated financial extracts and generate reports from multiple databases with relative ease. Besides better financial management and forecasting, Kelly said Power BI makes it easy to create and monitor key performance indicators (KPIs) for marketing, sales, and the company’s financials. Power BI also enables him to analyze detailed project lines of business and to better understand the company’s customers in terms of revenues and profitability. In addition, Kelly said he uses Power BI to generate “Flash” reports covering key aspects of the company’s revenue stream—consulting hours, assessments delivered, and how many tests were administered on the IT platform side. Power BI enables him to nest multiple layers of data, which consultants and other teams can then expand, collapse, button, unbutton, and drill down into. Initially used only by Kelly and his financial staff, the use of Power BI is quickly expanding to support the entire company, including three businesses (consulting, assessment practice, and IT platform for high-volume testing), business partners, the APTMetrics sales staff, and the executive team. Kelly also had praise for the ease with which he and his team could begin using Power BI, and for the MaxQ team who installed and configured the Power BI solution. Once the MaxQ team understood APTMetric’s requirements, he said, they were able to write the formulas, connect the data sources, and have Kelly and his team up and running in two days. What’s So Special About Power BI? In previous blogs we showed how businesses were benefiting from Power BI in ways that were not possible previously. What makes Power BI such a revolutionary analytical solution are technology innovations that were introduced in Excel. Power Pivot is based on an in-memory technology called VertiPaq, which arranges data into columns and compresses it to speed performance. In-memory computing speeds processing by storing data in RAM rather than on slower-performing disks. As Microsoft explains, Power Pivot is a data modeling tool that works hand in hand with Power Query, a data extraction and transformation engine that began life as Data Explorer. Power Query enables you to discover, import, and merge data from any number of sources, while Power Pivot enables you to model, manipulate, and operate on the data you have imported. Power Query can be embedded in Excel or the Power BI Desktop, and the tool can load a data set into an Excel spreadsheet or into Power Pivot for data modelling. The story gets even better. The tight integration between Power BI and Excel, which extends to Azure, Office 365, SQL Server, and other Microsoft technologies, creates an ecosystem that makes Power BI a flexible and formidable analytical tool. You can apply DAX formulas to columns of data to perform calculations. For example, you can use DAX to calculate anticipated sales based on a percentage increase over last year’s sales, or to calculate sales rank or customer rank by sales. 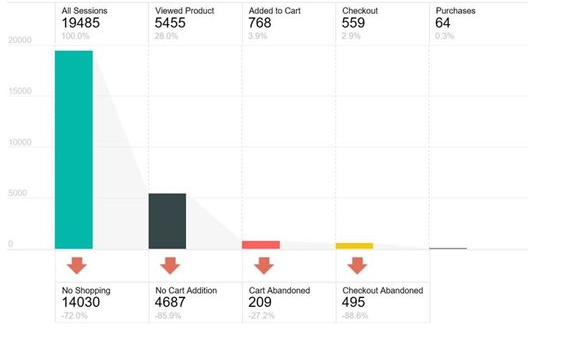 You also can perform time analysis functions such as year-to-date sales, actual sales vs. targeted sales, and current sales. Power BI provides a host of features to simplify and speed up analytical operations. You can use Calculated Columns, which are formulas that are applied to joined columns of data. For example, you can calculate profits by joining sales and costs columns. You also can use Measures, which are formulas that are applied dynamically to perform calculations as you interact with your reports. Measures are typically used to calculate aggregations such as average sales amount or average sales by region. You can use Power BI to track your business’s sales and marketing performance by creating key performance indicators (KPIs) that enable you to evaluate the current value and status of a metric against a defined target. The KPIs can be updated automatically and the data can be visualized for easy understanding. 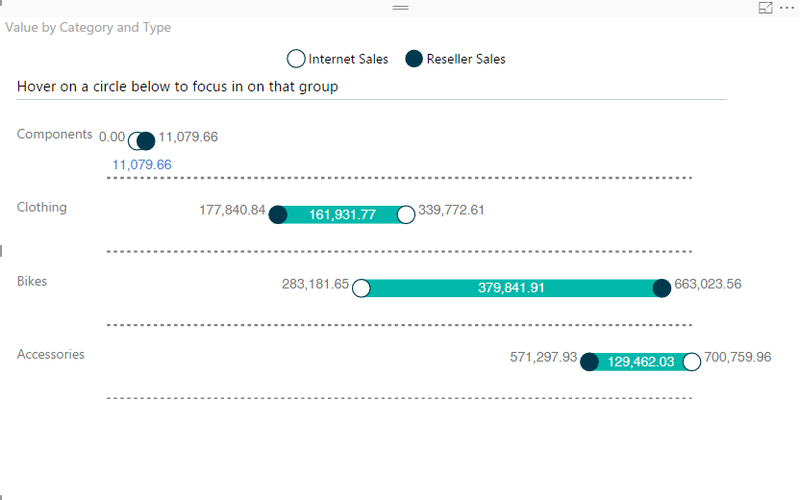 You also can use Power BI’s Quick Insights feature to evoke a machine learning engine that will instantly apply algorithms to your data sets to discover hidden insights such as correlations, outliers, and trends. Another core strength of Power BI is the tool’s data visualization capability. As Gil Raviv notes, Microsoft built an HTML 5 compliant visualization engine for Power BI that can slice and dice data in any direction and provide visualizations of the results. Besides enabling a myriad of visualizations out of the box, Power BI has a library of custom visualizations users can draw upon. This highlights another strength of Power BI: the large and growing user community that contributes to the ongoing innovation centered on Power BI as it evolves. Power BI accommodates a wide spectrum of users, enabling novice users to work at a basic level, while enabling more sophisticated users to work within the Power BI Desktop to employ formulas and perform complex calculations and analyses. Power BI enables small and mid-size organizations to gain the advantages of advanced analytics that were beyond their scope in the past. This includes visualizing predictive analytics that can employed using Power BI linked to Microsoft Azure Machine Learning. Predictive analytics can be used to optimize marketing and sales initiatives, such as predicting how customers will respond to new products, as well as helping to identify the best channels and messaging for campaigns. Machine learning can help identify potential customers, personalize marketing approaches, predict customer churn, and much more. As Microsoft explains, Power BI also lets you access real-time information, which can be used to identify trends, optimize pricing, and take advantage of market opportunities that arise. Power BI and Azure Steam Analytics can be combined to create real-time IoT dashboards for monitoring sensors. Uses include tracking and monitoring instruments, devices, packages, greenhouse environments, market fluctuations, and real-time monitoring of machinery data streams that can be analyzed to predict failure. Microsoft has done an excellent job of making it easy and affordable for non-technical users and power users to gain the benefits of enterprise-grade analytics. And with the continual contributions of the Power BI community, the story grows better day by day. Since Microsoft’s Power BI launched as part of Office 365 in July 2013, it has evolved at a rapid pace and blossomed into a full-blown feature-rich modern business intelligence tool. In July 2015, Power BI had 45,000 users worldwide. Today that number has grown to more than 5 million users. What makes Power BI such a compelling business tool is a combination of strong data visualization capabilities, ease of use, and affordability (starting at free, with a Pro version priced at $10 per user per month). Moreover, Power BI can be accessed from the cloud, run as a desktop app, embedded in applications, integrated with other business planning tools, and optimized for mobile devices. Years ago, obtaining the capabilities that Power BI provides required complex and expensive systems that had to be implemented by specially trained data scientists. A data scientist would develop a design concept and hope it would deliver the results you desired. Because of the cost, complexity, and specialized skill requirements, only the largest enterprises with the deepest pockets could afford these types of BI systems. 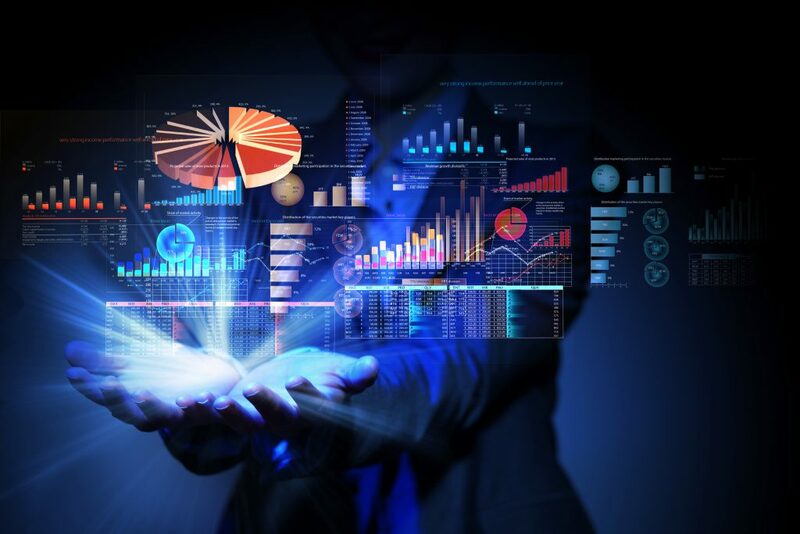 Power BI has changed the game, enabling small and midsize organizations to perform analyses and visualize data in ways that previously were prohibitively complex and expensive. Rather than the long development periods required to build these systems in the past (often weeks, months, and years), users can get accurate and actionable results in only a few hours. Moreover, real-time updates can be used to enable business managers to leverage a continual flow of insights. Seeing how Power BI has been deployed by real-life companies shows the benefits that can be gained, as well as the ease and speed with which a Power BI application can be set up and immediately begin delivering useful insights. Pizza Express in the UK was able to gain real-time insights and improve its business operations by deploying Power BI. As part of its strategy to expand worldwide, the company migrated all its data to the Azure cloud, created a data warehouse, and began using the data to make decisions based on its customers’ preferences. Real-time monitoring comes from a tool called Event Stream that was built using Microsoft Event Hub and Data Factory. Besides giving managers an up-to-the-minute view of the business, it allows Pizza Express to track customer activity and make personalized offers. While in the past, building a tool like this would have been complex and time-consuming, Pizza Express was able to set it quickly using ready-made Microsoft tools. Power BI has enabled Pizza Express to aggregate sales, customer, and operational data that used to reside in different places. The system enables the management team to combine all its key performance indicators (KPIs) to gain a comprehensive look at the company’s sales data, customer preferences, and profitability. Thirty regional managers can access the performance data on mobile devices to view results by region, area, and individual restaurant. As Pizza Express IT director Siobhan Fagan noted, having precise information on demand means the company can be agile, decisive, and respond much better to its customers. The use of Power BI by Howell-Jones, a law firm in the UK, shows how not only law firms, but many types of agencies, can benefit from Power BI. As Howell-Jones operations director Chris Cato notes, personalized dashboards with complex data could be spun up in minutes by non-IT staff to deliver insights throughout the firm. Team leaders could use Power BI to manage caseloads across entire teams, distributing work to maximize collective output. The Howell-Jones management team was able to generate high-level visual reports that were updated in real-time, which they could drill down into to analyze all aspects of the business, such as lawyer’s workloads, fees vs. targets, billable hours vs. targets, time from enquiry to billing, cross-department work referrals, and more. In addition, financial insights that previously were available exclusively to the management team could be surfaced and shared around the business. The marketing team could see real-time inquiries and divert spending to take advantage of opportunities as they arose. The marketers also could drill into the data to refine their strategy based on the results of individual campaigns, how initiatives converted to new clients, and the lifetime value of marketing investments. As these case studies show, Power BI is a game changer, making possible analyses and visualizations that had previously been too difficult and too expensive for most businesses. While the examples above involve the hospitality and legal sectors, the same techniques can be applied to any type of business to realize similar benefits. We’ll continue looking at how Power BI is unlocking new possibilities across various industries in future posts. Finding business intelligence software that gives you a complete picture of everything in your business isn’t always easy to find. It’s one reason maybe you’ve waited to invest in BI software, even though you’re realizing doing too much guesswork about business reality isn’t smart. In today’s more competitive business climate, not knowing everything about your business can end up hurting you in the long run. All it takes is overlooking one tiny piece of information, and it could snowball into a bigger problem financially. Going with a “gut feel” about your company should never be a way to envision the future. More so, when customers demand quicker responses in services you provide, you have to make quicker decisions. BI brings all of this to you, frequently using real-time technology. The problem is that while you may have insight into internal issues, should you also look externally? When you integrate an internal and external view of your company, you get a wider view since outside situations could directly affect what happens internally. Placing the Internet into the business intelligence equation, you have a vast digital world to explore in how it affects your business. The challenge behind this is far too much BI software out there ignores data from the Internet. So much is happening online you need to explore, including your own role in marketing. Social media alone has many areas to explore, including how your content performs there and how people interact during conversations. More so, you can get an idea of which social media channel works the best with your content so you eliminate the ones not working as well. One danger about social media is spreading yourself too thin and not properly targeting the right demographics. BI can study metrics there, plus other places where you’re not directly involved. For instance, BI could scan industry message boards to see what people are talking about and if they happen to mention your company. Exploring outside databases from financial or marketing research companies could bring deeper insights as well, though it’s not always easy to gather this or put in a readable form. Remember, offline environments are just as valuable. Looking at variables out in the real world could end up shaping things more than anything you find online. You may not think something as simple as the weather could apply to your business, and yet it can when it comes to something like logistics. Getting products delivered on time matters when related to weather. Studying BI on weather patterns and other acts of nature gives you a better idea of how to prepare and the best days for deliveries. As part of your marketing efforts, you want to know what regions to target if doing offline advertising. Looking at the analytics behind the populace you sell to gives you more variables on the neighborhoods they live in, what their incomes are, and even what crime statistics are. All of these potentially give you deeper insight into the people you market to and how your products help them solve problems. If you own a brick-and-mortar business depending on in-person visitors, analyzing socioeconomic factors about your area determines what kind of customers you’ll attract. Studying this before you even open your business doors gives you insight into where you should locate, or if you need to move to a different region. Contact us at MaxQ Technologies, Inc. so we can help you with reliable business intelligence software in finding thorough data.